A song of midnight bells, Frère Jacques, is a French lullaby for coaxing a sprightly child into slumber. 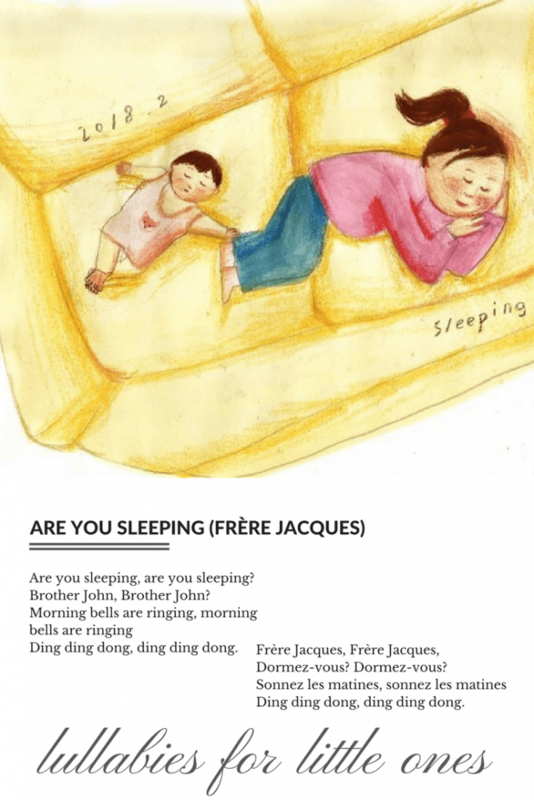 Here are the lyrics for Frère Jacques, and parents will soon be checking-in on their little one hoping, Are You Sleeping? Click to download a pdf printable of Are You Sleeping Printable. The song is also known as “Brother John”, or in various European languages as Dutch: “Vader Jacob”, German: “Meister Jakob”, Italian: “Fra’ Martino”, and Polish: “Panie Janie”. The music was originally based on a French nursery rhyme and the song is often sung as a round, with the second voice coming in after the first stanza of Brother John. The lullaby is about a French friar in a monastery who oversleeps the matins prayer time, which is traditionally held at midnight or very early morning. The monk is urged to wake up in order to RING the church bells for calling others to prayer. The English translation loses the original French meaning of the song: the irony is that the bells are not ringing, because Brother John, who is supposed to ring them, is still fast asleep. The first published rendition of the Frère Jacques lyrics appeared in 1780, though the melody is much older sharing a similar tune to Chanson de Lambert, a French song dating from 1650, as well as to a traditional Hungarian folk tune. 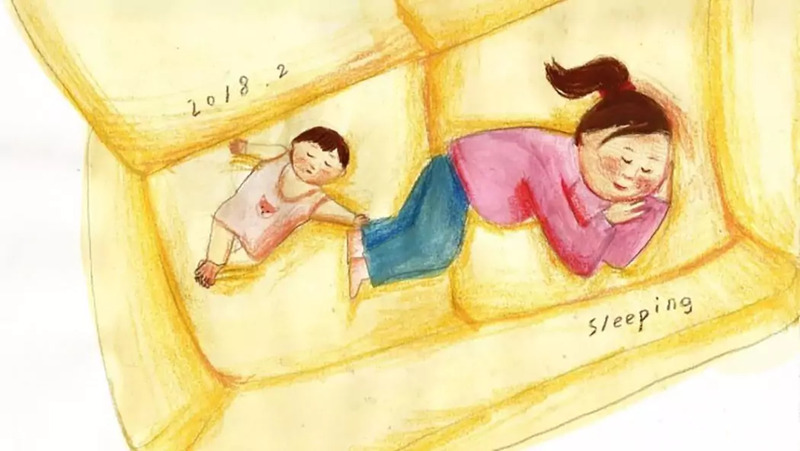 The simple melody makes the song one of the most easily recognizable lullabies throughout the world.